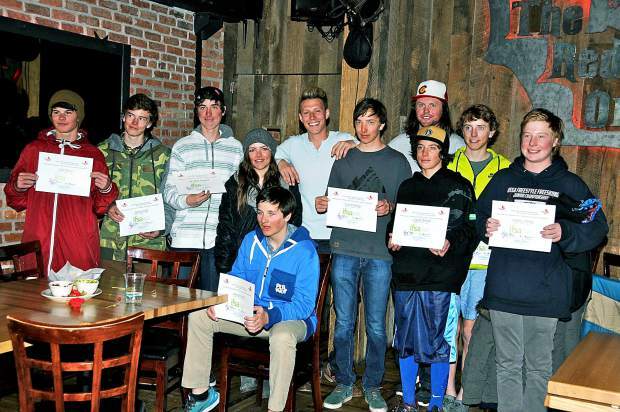 AVSC sent 13 members of its big mountain team to the IFSA North American Championships in Snowbird, Utah. They include, from left, Will Morris, Nick Goralka, Jackson Ferraro, Rhianna Borderick, Davis Henschel, coach Skippy Mesirow, Luca Doehling, coach JF Bruegger, Logan Brown, Hunter Bryant and Andrew Tierney. Not pictured: Brooks Go.